Meet Ups are a new, casual style of meeting that combines networking and content. Meet-ups are free of charge for members and $10.00 for all non-members. These events will take place in various office locations around Boston. Meet-ups will be scheduled at different times during the day depending on speaker availability, and attendees will be asked to bring their own lunch and refreshments. Keep an eye out for the logo on both our website and monthly newsletters! Interested in hosting a Meet-Up at your offices? Contact us at info@cfaboston.org for further details. Please join William Thorndike and Jeff Gramm for a wide-ranging discussion about investing in and managing public and private companies. William Thorndike, who runs a private equity fund, wrote The Outsiders: Eight Unconventional CEOs and Their Radically Rational Blueprint for Success, the most influential finance book of the last decade. Hedge fund manager Jeff Gramm's book, Dear Chairman: Boardroom Battles and the Rise of Shareholder Activism, is a critically acclaimed history of activist investors in public companies. Both books focus on the critical role of wise capital allocation in driving shareholder value. William N. Thorndike, Jr. Mr. Thorndike is Founder and Managing Director of Housatonic Partners, a leading middle market private equity firm with offices in Boston and San Francisco. Mr. Thorndike is currently a Director of Carillon Assisted Living, LLC; Lincoln Peak Holdings, LLC; QMC International, LLC; and ZircoData, Ltd. He is Chairman of the Board of CNX Resources Corp. (CNX). 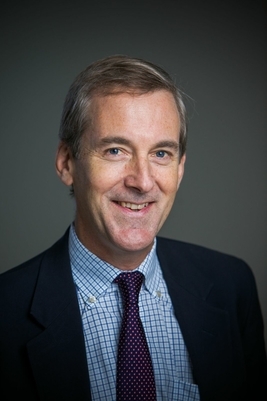 Mr. Thorndike is also currently a Trustee of WGBH in Boston and College of the Atlantic in Bar Harbor, ME. He is the author of The Outsiders, which has been translated into ten languages. Please note, attendees are asked to bring their own lunches.